There is a disturbing phenomenon circulating on Facebook and Pinterest. It is the “Hey Girl” photos with Ryan Gosling. Have you seen them? The pictures feature Mr. Gosling in a provocative pose, many times shirtless, addressing the very heart of women. The ones I have seen are disturbing in that they are geared toward wives, stay-at-home moms, and homeschoolers. • Hey girl, I loved your blog post today. • Hey girl, Go rest those tired eyes and I’ll take care of the explosive diaper. • Hey girl, You know I’m getting jealous of that body pillow. • Hey girl, I don’t need fancy dinners, I love the way you cook Kraft dinners. • Hey girl, sure I’ll take another day off from work to go on a field trip with you and the kids. • Hey girl, I love how you manage to tie in our morning devotional with algebra. In a society where marriages are under attack and fewer and fewer actually survive, the whole issue is troublesome. If it were a just a trend of the world I would not worry. But since many of my online associations are professing Christians, I have to conclude that many Christian wives are looking at and promoting these photos. Faithfulness is key for a Christian marriage to not only thrive, but glorify God. No doubt marital infidelity can destroy a marriage, but what about infidelity of the heart? Jesus said, “Ye have heard that it was said by them of old time, Thou shalt not commit adultery: But I say unto you, That whosoever looketh on a woman to lust after her hath committed adultery with her already in his heart,” Matthew 5:27-28. Is it really prudent to look at a picture of a good-looking man saying things that you wish your husband would say? Let’s ask like this: Would you want your husband looking at a picture of a good-looking woman saying things that he wished you would say to him? The lies of the world are clever. They whisper, “It’s no big deal.” But, the enemy is subtle; he desires to destroy your marriage. 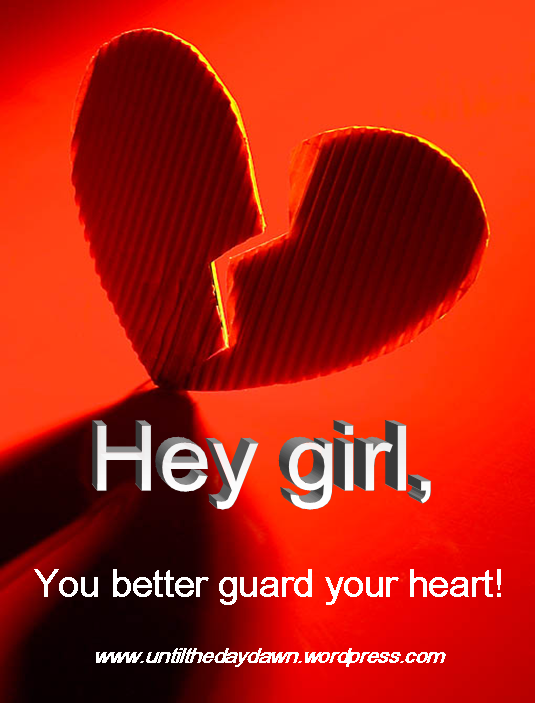 Guard your heart; God is very concerned with the condition of it. Love your husband for who he is and glorify God through your marriage. The world is watching! Wow. You’ve just judged me, inaccurately by the way. You’ve taken a funny meme about homeschool dads who appear to be un-phased by a weekend at a homeschool convention, or enjoy cuddling with a curriculum catalog and turned it into something ugly. When I set up my pinterest board, my husband was looking over my shoulder and laughing long and loud along with me. You might think about the fact that lots of women who find these meme funny aren’t dissatisfied with their husbands, nor are they looking at the guy (I didn’t know who he was until I discussed your post with my husband) as anything more than a homeschool dad who is totally sold on his wife and her commitment to homeschooling. Perhaps this meme didn’t affect me the same way that it apparently affected you, because my husband IS really supportive, and a great dad and a great husband. Maybe not as cheerful about the conventions! Hence the humor of the meme! Sara, Thanks for your comment. Only God can judge a person’s heart, but Christians can certainly be discerning. This post was about marriage, not homeschooling. My intent was to warn about careless actions that could cunningly tear down a biblical marriage. It’s interesting to me that men find this funny. Are there women out there who would find it funny for their husbands to look at pictures of hot, half dressed women with homeschool captions? I can’t imagine. I’m very glad when Christian women have great, supportive husbands. I have the best and therefore strive to honor him in all ways. I just don’t see how these pictures do that. You are judging, and you are condescending as well. You mentioned homeschooling here: “The ones I have seen are disturbing in that they are geared toward wives, stay-at-home moms, and homeschoolers.” My comment mentioned my husband, who you in turn thought “interesting” because he found humor in the pins on my board. You couldn’t imagine. My “Hey Girl” pinterest board does not have a single “hot, half-dressed man.” But they all have clever captions indicating enthusiastic support for the homeschooling wife. Hence the humor of the meme. What a find the most interesting, is that Mr. Gosling himself finds these posts to be absolutely ridiculous. There is a feature of him trying to read some of these pins and he can’t stop laughing. He finds them foolish and silly. Interesting…. Incidentally, I didn’t find you either condescending nor judgmental. I believe you were simply trying to share something the Lord laid upon your heart, a call to live more righteously. Thank you for thinking of others and for being faithful to His call. Condescending? Really, are you judging? 😉 But seriously, thanks for wishing me well. I do hope that you don’t think that this post was attacking you personally. I’ve never been to your Pinterest page and just because you don’t have half-dressed pictures it doesn’t mean that they are not out there. wow KImberly…hot water…I have not seen these photos and don’t even know what a meme is…but welcome to the world of “you can speak on anything as long as you agree with me.” If you are offended by the pics and want to say so I am going to support you….thanks. It’s always good to have people in your life that ask the hard questions- is that really a good idea? As Christains living in a worldly society- We should constantly be asking ourselves and one another ” is this action encouraging us towards the things of God?” We must judge actions as such. This is not a personal judgement of a person as if they are good Or bad. Rather, it is a way of helping one another nit get off track. There have been many times throughout my life someone who loves me has questioned my actions. I have at times responded with anger and disdain towards that. As time would go on, thankfully, God would use that correction to do a change on my heart. I am thankful for those corrections and know they were good. Life’s choices can be a slippery slope. We need to be watching out and praise God for those who area bold to call it to our attention. Blessings to all!!!! DB.